I was thrilled when the nice people at C&H Sugar offered me a $20 gift card toward ingredients if I would bake something from their website. Grocery money and the chance to try out some new recipes? Sounds like a good deal to me! I picked two recipes. First up is Chocolate Chip Blondies. These were easy to make and they turned out so chewy and delicious, thanks to dark brown sugar in the batter. I also appreciated that the recipe is for an 8×8″ pan. Sometimes you want a smaller batch, and I was happy to not have to do the math to reduce the recipe! 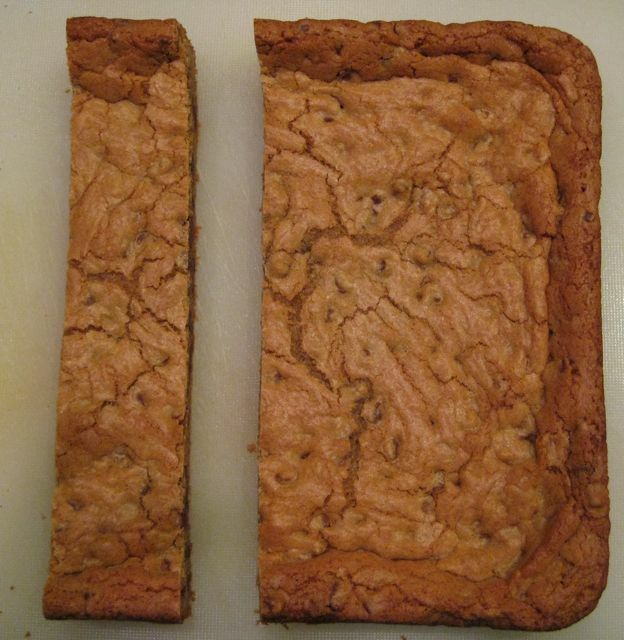 The recipe for Chocolate Chip Blondies is here. I also made Black Bottom Cupcakes. 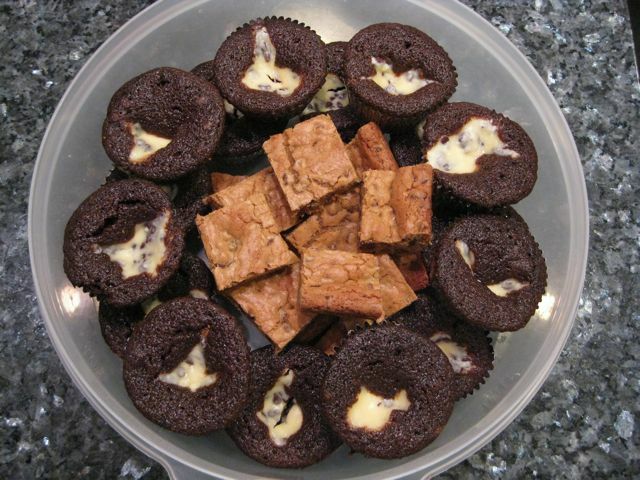 These are a chocolate cake batter with a generous scoop of a cream cheese-chocolate chip mixture in the center. Moist and delicious. No need to choose between cake and cheesecake, because these are the best of both worlds! 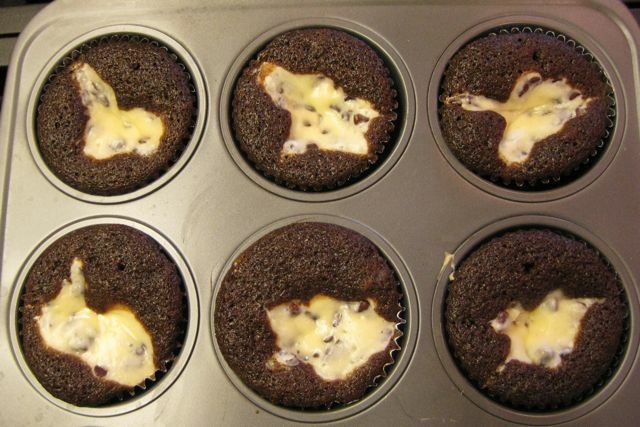 The recipe for Black Bottom Cupcakes is here. This was a lot of treats, so I packed up most of them and sent them to work with my husband to share the joy of fresh baked treats! I had a fun time looking at the C&H Sugar website. Along with lots of recipes, they have a page with printables, which includes gift tags and baking gift certificates you can print at home. I always give my dad gift certificates for baked goods, so I’ll be printing some of these cute certificates to use this year! They also have recipes for homemade sugar scrub, which looks really cool. There are lots more neat things on their site, so check it out! Thank you C&H Sugar for asking me to participate! One more thing for all of you Twitter users out there: Each time #NoKidHungry is mentioned in a tweet, Domino®/C&H® Sugar will donate $1 to the Share Our Strength organization, up to a maximum of $10,000! Please take a minute to send a tweet! Ohhhh these both look fantastic! Can I have some?? I got a gift card too- still trying to figure out what to do with it! I feel like the only kid in town who didn’t get a gift certificate. Oh well, I love what you made with it! Yum Jill, I’ll take some of each please! I am fascinated by black-bottomed cupcakes because we don’t have those here. I love the big container of treats, your husband’s co-workers must have been thrilled! Those two recipes look amazing and delicious! I am intrigued by the sugar scrub recipe…I might have to give that a try!!!!! Wow! Well, my gift card is burning a hole in my pocket – but I have a feeling these 2 desserts might make an appearance. These look GREAT Jill! Especially love the black bottom cupcakes – how fun! I’m sure everyone loved the goodies in the tupperware! I think both desserts look great. I am going to check out the C&H site since I’d love to make sugar scrub.